STATEN ISLAND, NY (June 19, 2017) – Prom night is a rite of passage for many teenagers, and the Tackling Youth Substance Abuse (TYSA) coalition is reminding young Staten Islanders to watch their alcohol consumption during prom in a recently unveiled awareness campaign. At Staten Island high school prom venues, members of the TYSA coalition are distributing signs and stickers to prompt youth to think about their choices. 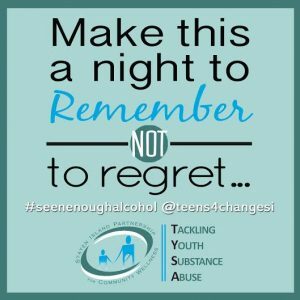 “This important campaign reminds our teens, and hopefully their parents, that prom can be a memorable night without consuming alcohol or engaging in risky behaviors,” said Anne DeMarzo of SMART Recovery. There’s a long history of excessive alcohol consumption on prom night, and Staten Island teens are not immune from this trend. In fact, 15.3% of 12-17 year olds on Staten Island reported binge drinking over the last 30 days, meaning that they had five or more drinks in a row one or more times within the past two weeks. Historically, Staten Island has seen higher alcohol use rates among youth compared to the rest of New York City. In fact, 27.3% of youth ages 12-17 reported drinking alcohol in the last 30 days , with the average age of first use at only age 13.2. From pre-prom festivities, to adult supplied alcohol in limos and after parties, prom night is known for dangerous behaviors among teens. The Youth Development Survey (YDS), which TYSA conducted in 2016, also found that nearly 20 percent of Staten Island youth ages 12-17 reported getting alcohol from someone they know under the age of 21. With help from the Hilton Garden Inn, Island Chateau, Old Bermuda Inn, El Caribe Country Club, and Pier Sixty, volunteers placed tent cards in the restrooms of prom venues, reaching an estimated 2,677 at the following proms: Michael J. Petrides, New Dorp, Tottenville, McKee, Wagner, McCown, Port Richmond, and St. Joseph Hill Academy. 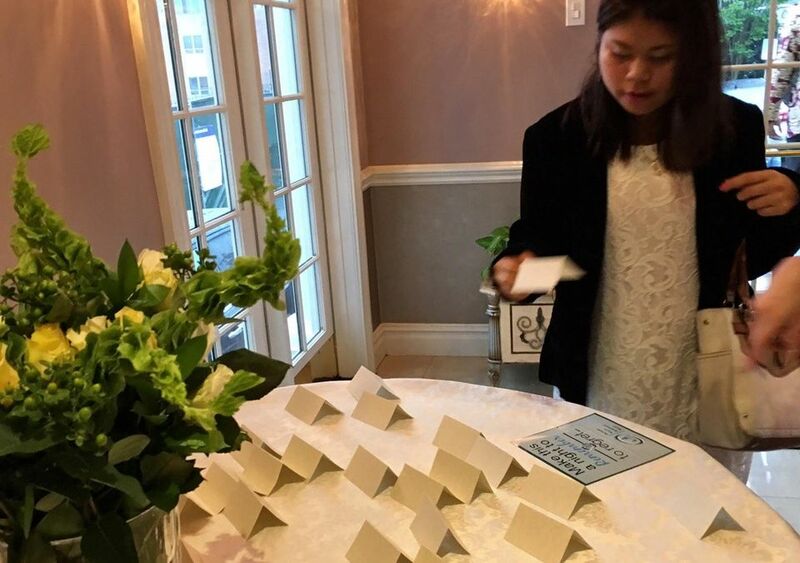 Flowers By Bernard, Eltingville Florist, and Avanti Beauty Salon also distributed over 350 stickers to students attending the prom. Additionally, 22 businesses within the Staten Island mall participated in the campaign, sharing the stickers at their checkout counters and where customers would see them. The TYSA coalition would like to thank our volunteers, the schools, and the prom venues for their cooperation in this project. To learn more about TYSA, to join the TYSA coalition, or to request signage for your business, visit HTTP://TYSA.NYC or contact Anna Bledsoe at 718-226-0257. The Staten Island Partnership for Community Wellness (SIPCW) is a non-profit organization established more than 20 years ago to promote wellness and to improve the health of the Staten Island community through collaboration and a multidisciplinary approach. Focused on advances in behavioral health and physical wellness, SIPCW provides support to initiatives which move towards the integration of these vital issues. Tackling Youth Substance Abuse (TYSA) is a coalition of people and organizations who have come together with a mission to decrease youth and young adult substance misuse on Staten Island. It is a dynamic partnership of both private and non-profit organizations; city and state government agencies; philanthropists; parents, teachers and teens, many of who have been working to combat alcohol and drug abuse for years. The TYSA Initiative focuses all of its members into using their resources to achieve the same goals. Staten Island doctors, pharmacists, law enforcement officials, drug treatment providers, hospitals, educators and youth organizations work together through TYSA to help one another, and the whole community, to combat substance misuse among youth and young adults.